****UNIVERSAL VERSION. 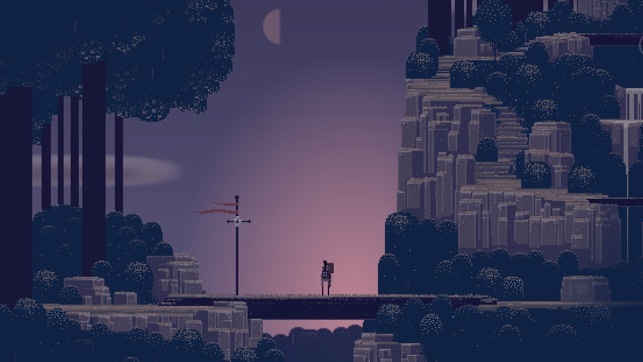 Superbrothers: Sword & Sworcery EP is an exploratory action adventure with an emphasis on audiovisual style. 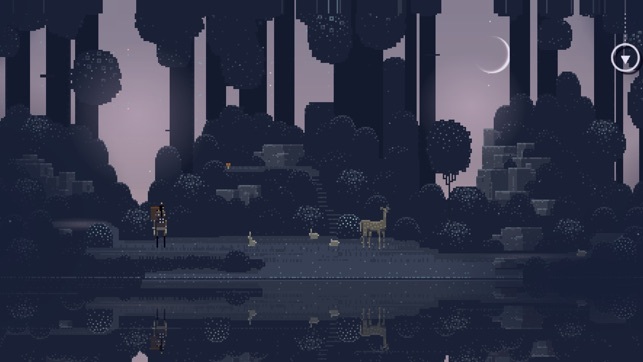 Traverse a mythic little realm, use a sword to do battle & evoke sworcery to solve mystical musical mysteries. 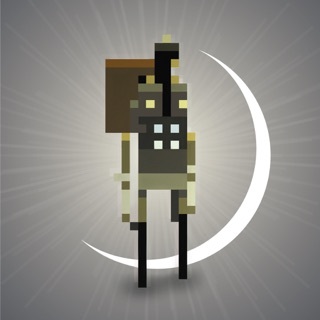 Co-operate with friends via Twitter, experience a videogame world that is affected by moon phases & help a wandering warrior monk complete her woeful errand. I'm upgrading my review to excellent. The first time I tried to play was on my iPhone and it was a disaster as the screen is way too small to see what's going on. Let's say I was a bit frustrated and leave it at that. Anyway, I played today on my iPad and - ta da- S&S is everything I was promised by reviews: artistic and innovative graphics; appealing soundtrack; a challenging game and best of all, a slightly snarky vein of humor that makes this entertainment rather than a battle game. There is a bit of sword action required - which is so not my thing but it works here. In the past I would have avoided the game for that reason but I'm actually having fun with it. Old dog, new tricks. Hmm, will the wonders never cease? As such, it's worth the small price- Highly recommended. Oh, btw, no directions. One must think. Kudos to the creators. (Your minds would be very interesting places to visit)! I remember when I was 5, I was trying to get this game but I couldn’t, 1 because I needed to know the password and 2 I didn’t have any money. So last year I looked up the game and I couldn’t believe it It was still here after all these years, so I got it and I was so happy and excited,I couldn’t believe I’d get to play the this game, it’s was literally the number 1 thing on my bucket list to do. So after I finished the game I was like Amazed, the graphics where amazing the music and the sound was amazing and to top it all off best storyline I have ever seen. I was like there needs to be a second one explaining the after life or something like that. This is an old game but it still growing and still great! NOTE! this is not a game with flashing lights and or fighting every second, people who hate this game don’t deserve to write a review or to play this amazing game. 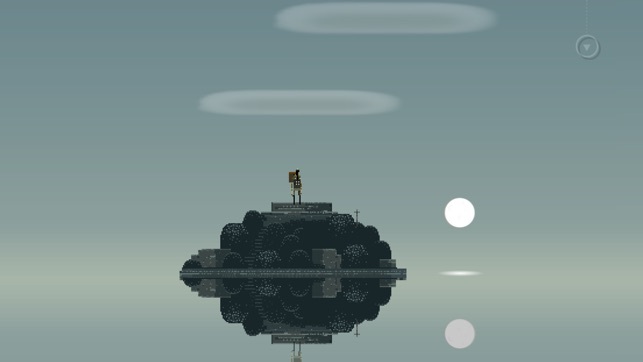 This is a game that takes time to finish, this is a game where you explore and there are secrets at every corner.